Mahdi Nazemroaya was one of the few Independent journalists in Libya, he just left a few days ago – and his life had certainly been in danger. Details of the humanitarian boat that took people out of Libya. 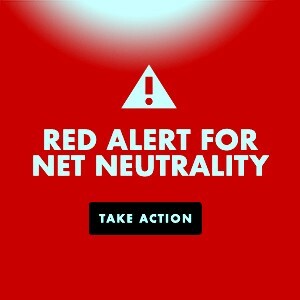 On the telephone – No internet – He is Okay – and reports accordingly – with shooting going on. Libya: Is Washington Pushing for Civil War to Justify a US-NATO Military Intervention? Is Tripoli being set up for a civil war to justify U.S. and NATO military intervention in oil-rich Libya? Are the talks about sanctions a prelude to an Iraq-like intervention? 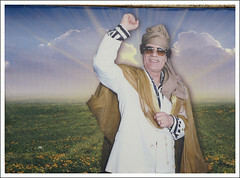 There is no question that Colonel Muammar Al-Gaddafi (Al-Qaddafi) is a dictator. 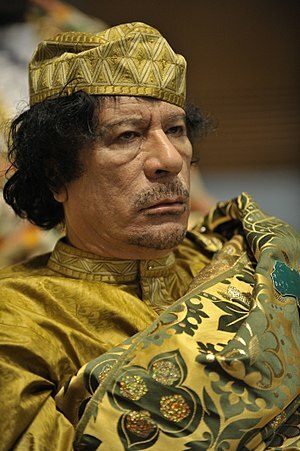 He has been the dictator and so-called “qaid” of Libya for about 42 years. 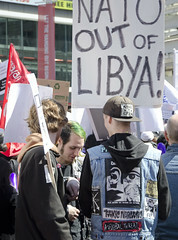 Yet, it appears that tensions are being ratcheted up and the flames of revolt are being fanned inside Libya. This includes earlier statements by the British Foreign Secretary William Hague that Colonel Qaddafi had fled Libya to Venezuela. This statement served to electrify the revolt against Qaddafi and his regime in Libya.